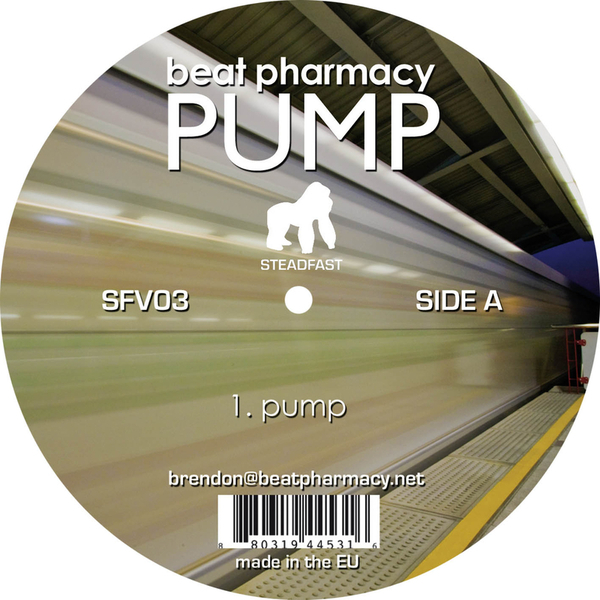 Perpetual dub-house motions from Brendon Moeller in his popular Beat Pharmacy guise backed with a smart Intrusion (aka Stephen Hitchell) remix and two dubs from London-based production outfit, Bearweasel. 'Pump' takes cues from classic Chez Damier and Maurizio productions and buffs them up with a high-class polish while Intrusion provides a more abstracted and interesting dub-house version that should get his fans salivating. Bearweasel complete the package with two leaden kick-driven shufflers for fans of Stev Bug or MotorCitySoul.